LEXINGTON, Ky. (Aug. 20, 2018) — Servant leadership has always been important to University of Kentucky alumna Josie Dupler. 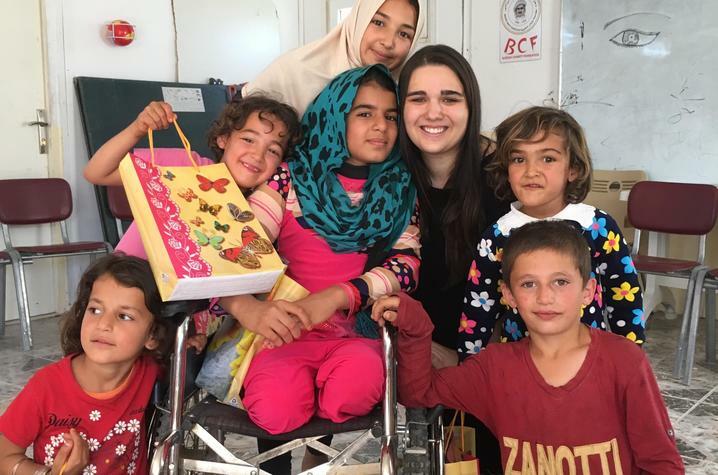 After earning a degree in international studies with a minor in Arabic and Islamic studies, Dupler traveled to the middle east to teach, tutor and empower migrant children in Iraq and Turkey. 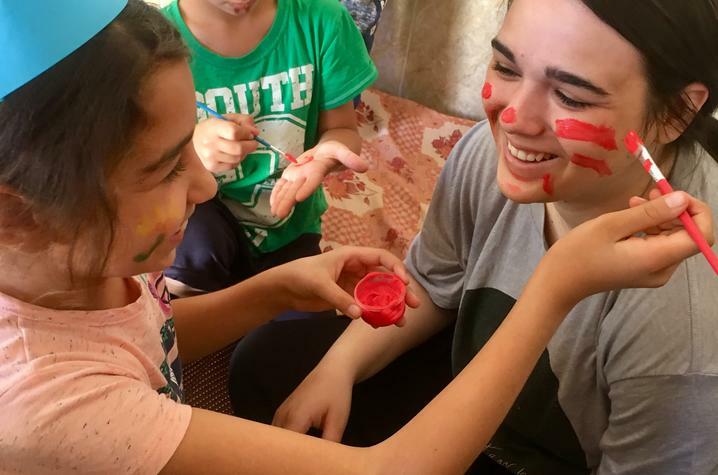 Throughout the months of April, May and June, Dupler volunteered with the Light A Candle Project, a nonprofit organization that focuses on providing aid and relief to families fleeing from war-torn areas. 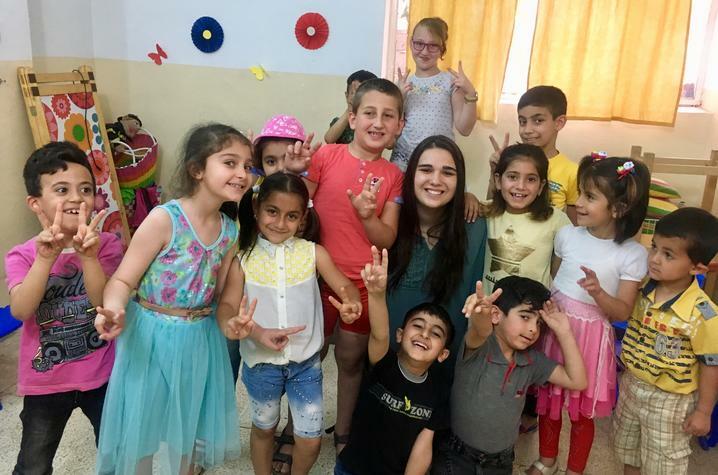 While in Iraq, she taught English to children ages two through eight; she also tutored middle and high school students. Many of the refugees she served were members of a particularly vulnerable population — internally displaced people (IDPs). According to the United Nations Refugee Agency, IDPs are those who have not crossed a border to find safety. Unlike refugees, IDPs stay within their own country and remain under the protection of its government, even if that government is the reason for their displacement. 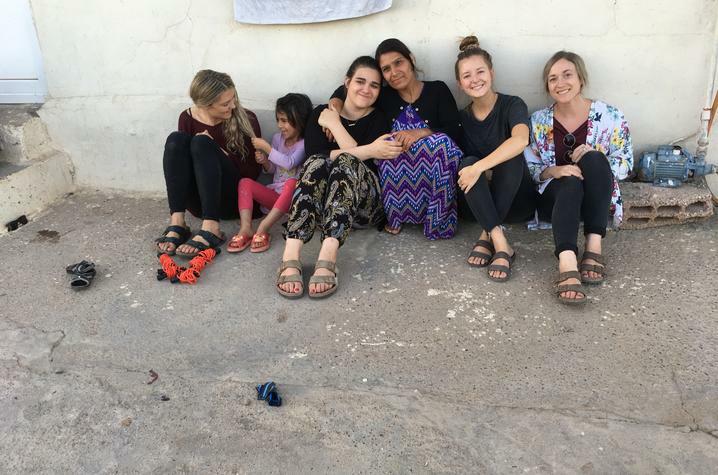 Some of Dupler’s most fond memories are from time spent with the Yazidis, a Kurdish-speaking group indigenous to northern Iraq. 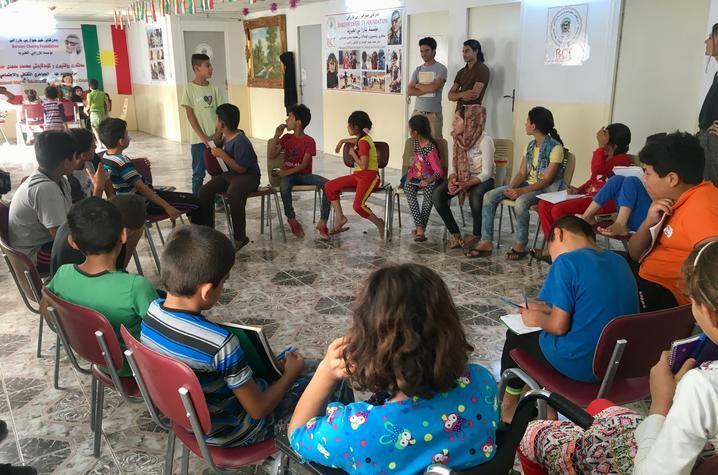 In 2014, more than 300 Yazidi families were expelled from their ancestral lands when Islamic State agents invaded. Because IDPs are often forced to evacuate without much prior notice, they often end up in areas where it is hard to deliver humanitarian assistance. When tutoring middle and high school students, Dupler and her volunteer team sometimes set up shop wherever they could, including inside the livestock barns that many families were taking shelter in. “What’s traumatic to us is their ‘normal’,” she said when reflecting on her summer. To help alleviate that trauma, the group hosted regular youth empowerment workshops. These workshops, which were open to children ages five to 15, began as a way to build relationships among the group. One day, Dupler gathered the older children in the group and gave them each a notebook and homework assignment – to share anything and everything they wanted. The homework assignment was well-received. At the next workshop, many children returned with their notebooks filled with stories and pictures that they could not wait to share with the group. For many, this was the first time they had been given an outlet to express their feelings. Some shared stories of loss: more than one student discussed the impact losing a best friend at such a young age. Another student, a 14-year-old girl, talked about how a car bomb left her paralyzed. Eventually, volunteers joined in sharing their own life experiences with students. The sense of camaraderie built during these trauma and empowerment workshops also served as a confidence boost for many of the students. One 13-year-old boy, encouraged by the friends he met during these workshops, started his own barber shop within the camp. In addition to a fresh haircut, he gave his ‘customers’ the reassurance that although they were living in a refugee camp, they could accomplish anything they wanted. Dupler is no stranger to the causes she volunteers for. During her time as an undergraduate, she studied the Arabic language and spent six months in Jordan to complete her capstone. She also worked with humanitarian aid agencies like UNICEF, the Red Cross and the World Health Organization to study the refugee crisis up close. While at UK, she regularly volunteered as an ESL teacher for 4Kids, a mentoring program focusing on child homeless in the U.S.
For many, summer is a time to slow down, get a break from school and maybe take a vacation. At the University of Kentucky, summer is when our faculty, staff, clinicians and students prepare for a new school year, conduct research, treat patients and gain experience through internships and service work. Class may not be in session, but at UK we never slow down.